you get all of the benefits of that build of Android along with a great phone. The question for many will be if to save the money and get the Prime version of the phone with adverts & offerings or the cleaner, more expensive non-Prime version. It really comes down to two things: If you are a heavy user of Amazon Prime services like Music, Photos and Music, get the Prime version as all of the apps are pre-installed and you will be good-to-go out of the box. If you don’t use a lot of Prime services, then the non-Prime version probably makes more sense. In either case, you are getting the same phone. The Nokia 6 is available in Copper, Black, Blue and Silver with the Blue and Silver flavors only available in the non-Prime configuration. 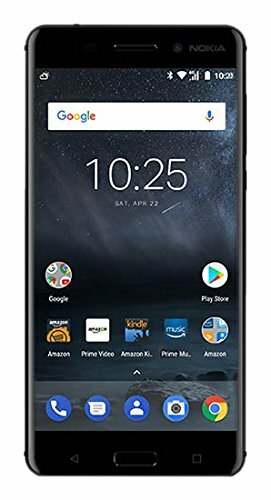 Head over to the Nokia 6 page over at Amazon to get the details and to order yours.